On 6 June 2018, the mobile operator Three presented its strategy and roadmap for deploying 5G in the UK. Three intends to start trials of 5G RAN equipment in the first half of 2019. In the second half of 2019, Three intends to start introducing commercial 5G services, subject to the availability of 5G smartphones and home routers. Earlier this year, Three announced that it had passed the milestone of 10 million customers. However, as CEO Dave Dyson acknowledged, 10 million customers is still somewhat sub-scale in a market that had 86 million mobile connections at the end of 2017. Consequently, customer acquisition remains high on Three’s strategic agenda. Spectrum has always constrained Three’s ability to expand its customer base. Its customers’ usage of mobile data is over three times higher than the industry average, currently standing at about 7Gb per user per month; but Three holds substantially less spectrum in the 3G and 4G bands than the other UK operators. 5G, however, gives the operator an opportunity to break this pattern. The principal spectrum band for 5G in Europe is 3.4-3.8GHz, and like the other UK operators, Three licensed some 3.4GHz spectrum when it was auctioned in the UK in April 2018. Unlike the other UK operators, Three also holds licences to a much larger amount of spectrum in 3.6GHz and 3.8GHz, as a result of its acquisition of UK Broadband in March 2017. Taken together, Three’s 3.4-3.8GHz spectrum holdings considerably exceed those of the other UK operators, amounting to 144MHz in total, compared with the 50MHz licensed by Vodafone and the 40MHz each licensed by EE (BT) and O2 in the April 2018 auction. It is this large 5G spectrum holding that forms the basis of Three’s perceived opportunity to pull ahead of the pack in network capacity, and thus to accelerate its rate of customer acquisition into the 2020s. 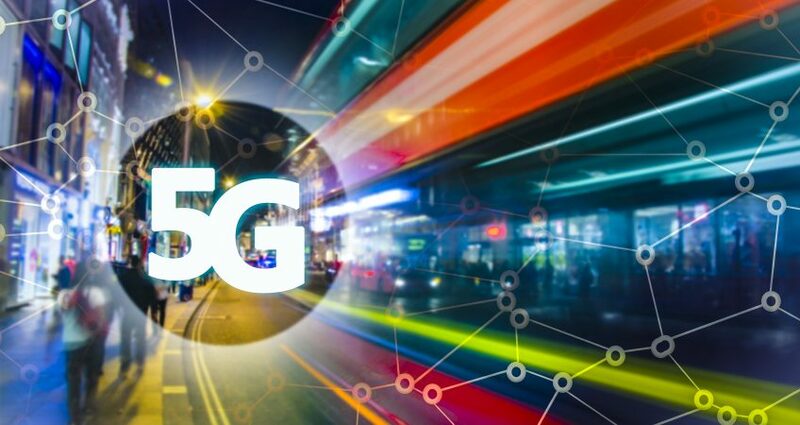 There has been a lot of talk in 5G circles about some of the technology’s more advanced capabilities, such as ultra-low latency, highly dense connectivity and service-level guarantees enabled by network slicing. For Three, though, the main benefit of 5G is more capacity (or looking at it another way, faster data rates). This was made clear by Dyson, who remarked that Three’s investment decisions in 5G are based solely on increasing the capacity of its network. They don’t depend on any of the other improvements that 5G could bring – although Three may well benefit incrementally from those too. In addition to accelerating growth of its mobile customer base with 5G, Three also sees a potential opportunity to acquire new customers by offering home broadband services using 5G as an alternative to copper, cable and fibre access lines. UK Broadband already has about 20,000 customers for its Relish home broadband service, which uses 4G technology in 3.6-3.8GHz spectrum. Three sees a near-term opportunity to increase the coverage of Relish in London, and potentially in other areas of the UK. When 5G comes on stream, Three will investigate using the increase in speed and capacity to position Relish more broadly as a viable alternative to fixed-line broadband. If you want to learn more about this topic, or have any question on European Mobility, please contact John Delaney.